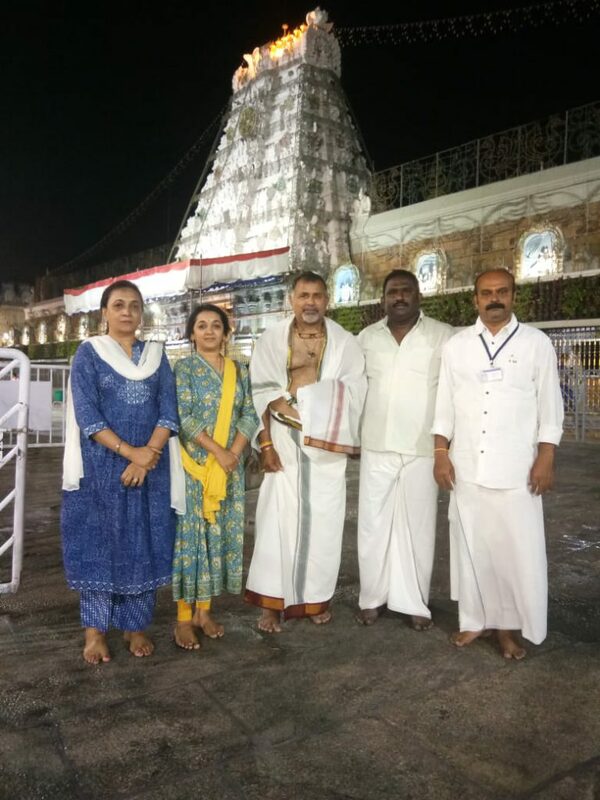 Team India bowling coach Bharat Arun on Thursday offered prayers at the temple of Lord Venkateswara. Accompanied by his family, Arun had darshan of the diety during Suprabatha Seva. After darshan temple officials offered prasadams to Bharat Arun inside temple at Ranaganayakula mandapam.